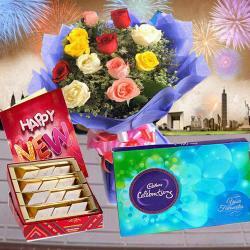 Product Consists : Bouquet of 15 Mix Color Roses with some fillers in a cellephone wrapping with a matching bow, Kaju Katli in a Box (Weight : 500 gms) along with New Year Greeting Card. 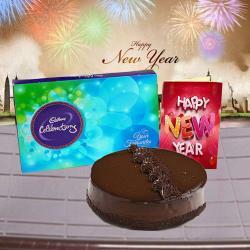 Celebrate New Year with lots of fun and frolic this time by treating your loved ones with exceptional gifts. 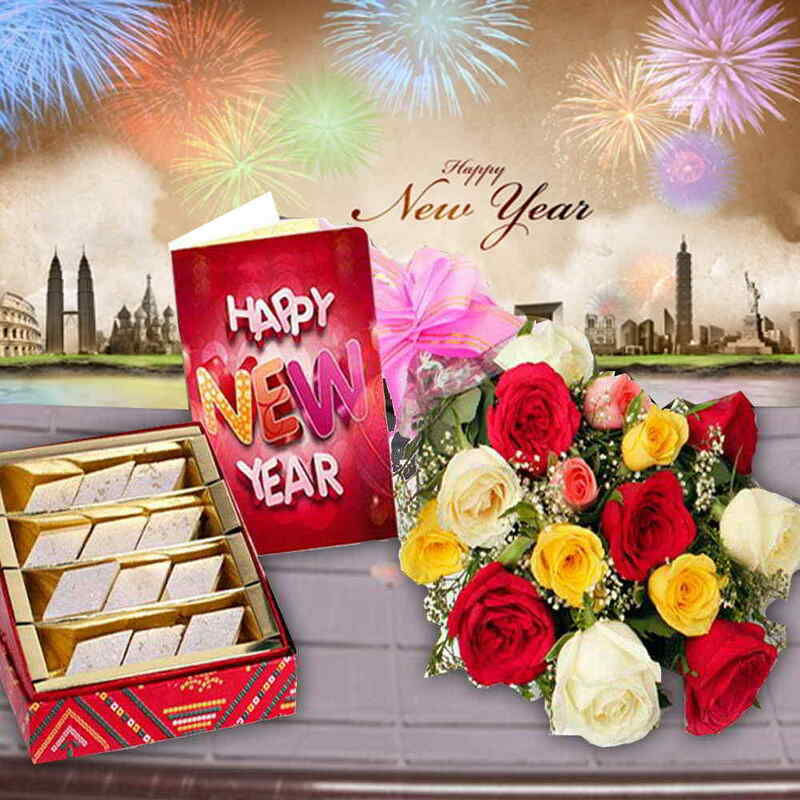 This is a very special gift hamper that comprises of a half Kg Box of mouth watering Kaju Katli, a bunch of 15 gorgeous mixed roses that look very elegant and a lovely New Year greeting Card that contains a heartwarming message for your dear ones. The rose in the bunch are in pink, yellow and red color that give it a very vibrant look. 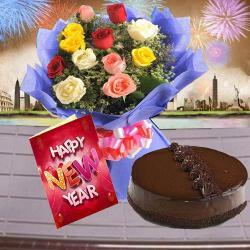 This stunning gift hamper is all set to enthrall your family and friends and send them your New Year wishes with love. 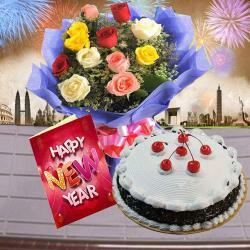 Product Consists : Bouquet of 15 Mix Color Roses with some fillers in a cellephone wrapping with a matching bow, Kaju Katli in a Box (Weight : 500 gms) along with New Year Greeting Card.